At opposition on August 28th, Mars will be just .37 AU. (about 34.4 million miles) from Earth, the closest approach during the last 60,000 years. It will be seen at magnitude -2.9 and apart from the sun and moon will be the brightest object in the sky. 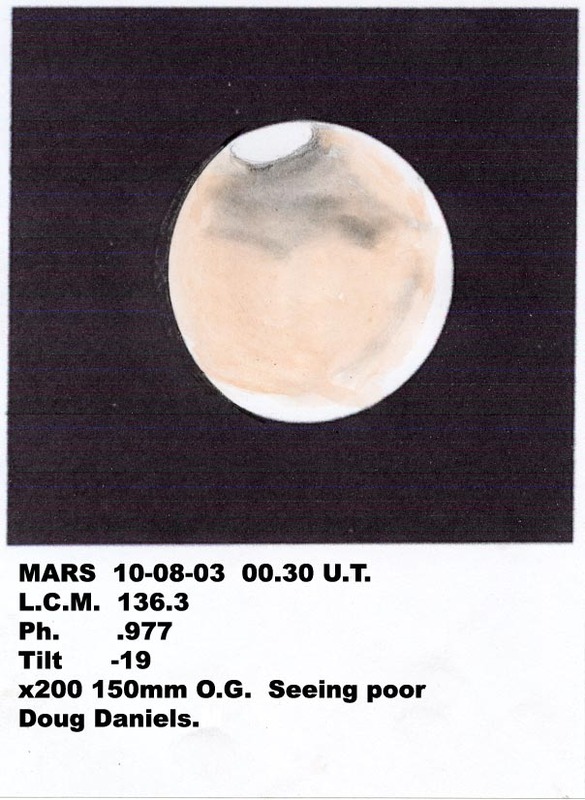 We hope to open the observatory on every CLEAR night between the 25th and the 30th of August, from 10pm until 11pm, specifically to view Mars. It has to be later opening as Mars is still fairly low in the sky at that time.